Did you know that there are over 3.6 million cases of child abuse cases reports every year? We as dental professionals are obligated to report child abuse or neglect if observed in our dental office. 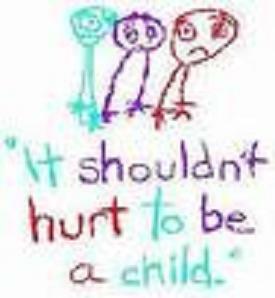 There are 4 types of child abuse; physical, sexual, emotional and neglect. It is our responsibility to be aware of any signs of abuse or neglect. Each dental team member at our office has recently been trained/informed about child abuse statistics and what we are legally mandated to do if we suspect abuse or neglect. Emotional abuse can slow a child’s development along with them having lack of self esteem. Physical abuse will show injuries and trauma on a child’s body. Neglect could be seen in constant hunger, fatigue, poor personal hygiene and untreated dental work which into turn causes severe dental pain. The oral cavity is a frequent site of sexual abuse in children. It is our purpose to assure that each child that is a patient at our office is treated with respect and is provided a safe atmosphere. It is our goal to provide thorough dental care and to assure general overall health both physical and emotional.